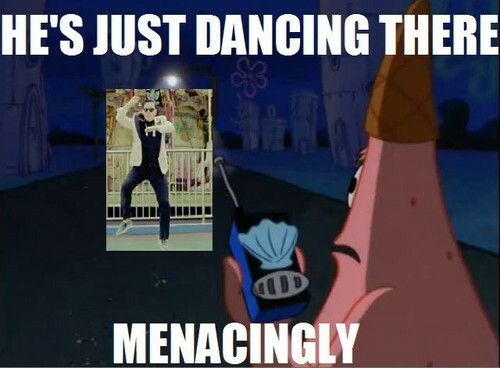 Patrick and PSY. . Wallpaper and background images in the Zufällig club tagged: random funny lol image spongebob patrick psy. This Zufällig photo contains anime, comic, manga, cartoon, comic buch, karikatur, and comics. There might also be zeichen, plakat, text, tafel, schilder, and poster.